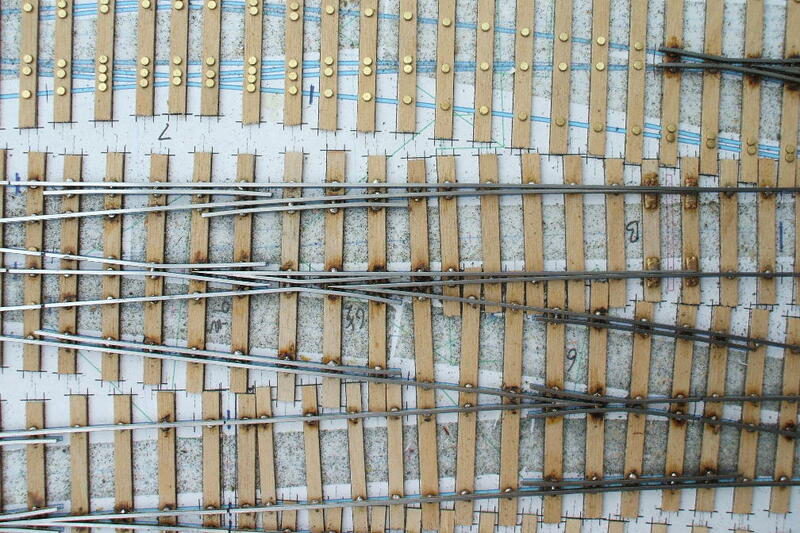 Here are some pictures of P4 pointwork being constructed. The configuration includes a 3-way feeding into two tandems. 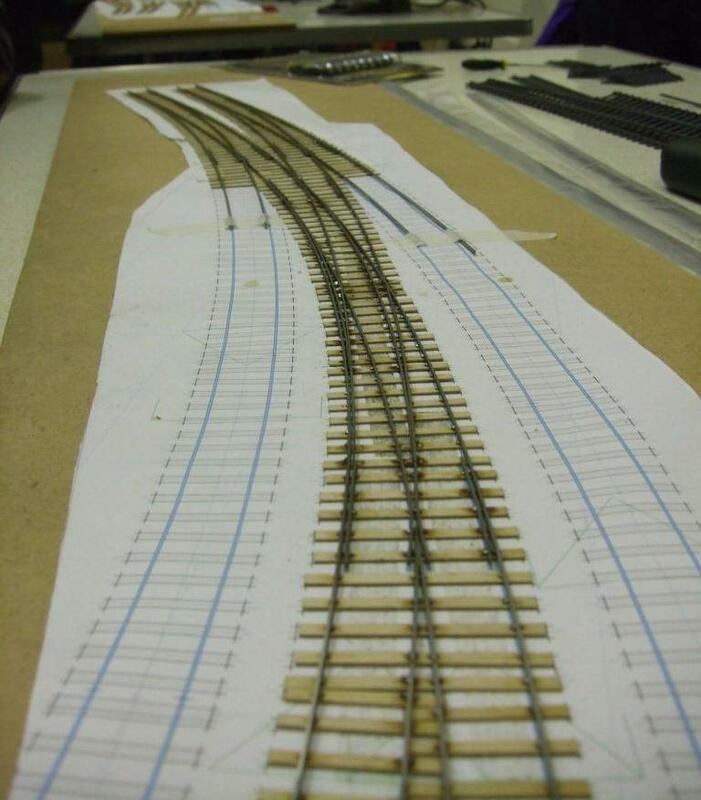 Here's a curved double junction with an inside slip. 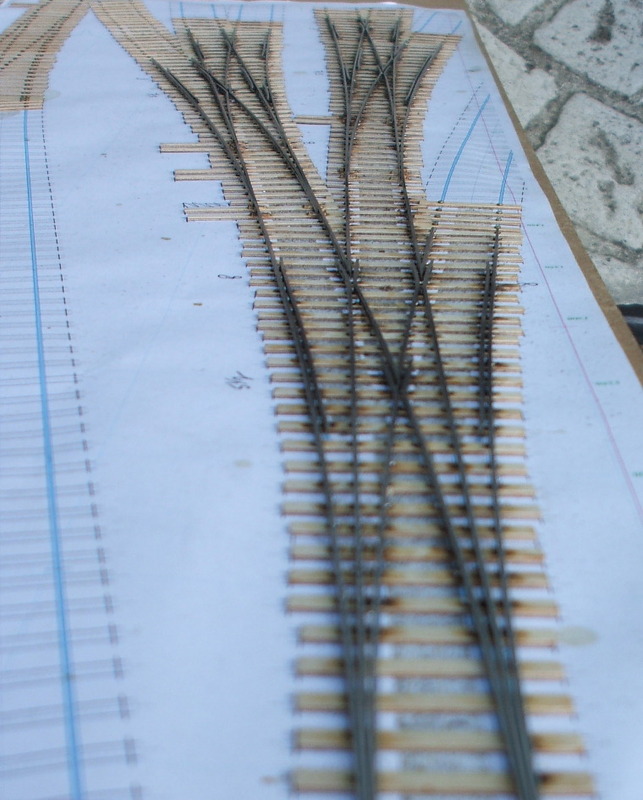 Here's some of pictures of trackwork being built by Tony Wilkins for Edgware Road, highlighting some of the close vee work. 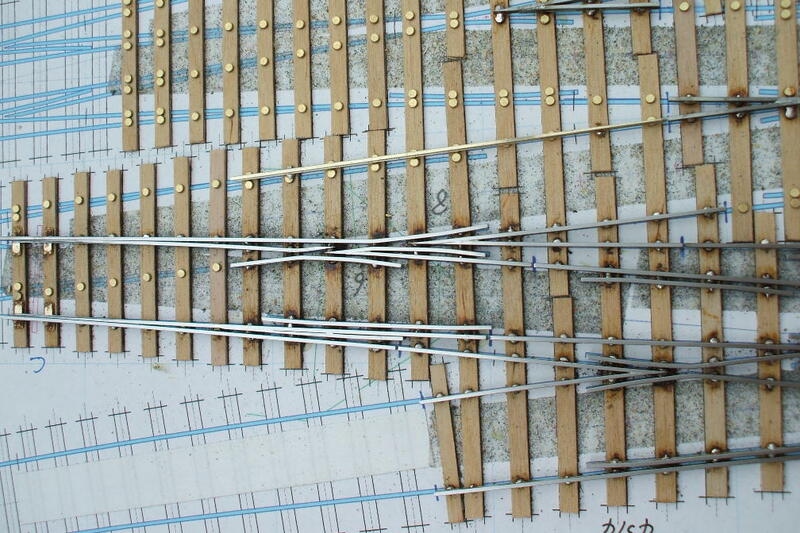 Conductor rails are yet to be fitted.